Pain & Change. If your fitness geek suffers from chronic pain, besides putting a card under the tree to say you're giving them a session with a z-health trainer (here's a list), consider helping them get a model of what's going on with chronic pain. 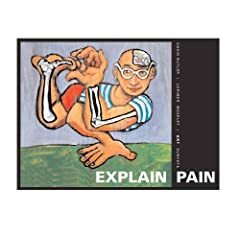 A fabulous book in this regard is David Butler's Explain Pain. This is a great plain-language, illustrated text on what we know about the neurology of pain, what's going on when pain goes from acute to chronic, and most particularly, what are strategies for getting a real handle on one's chronic pain to reduce it. 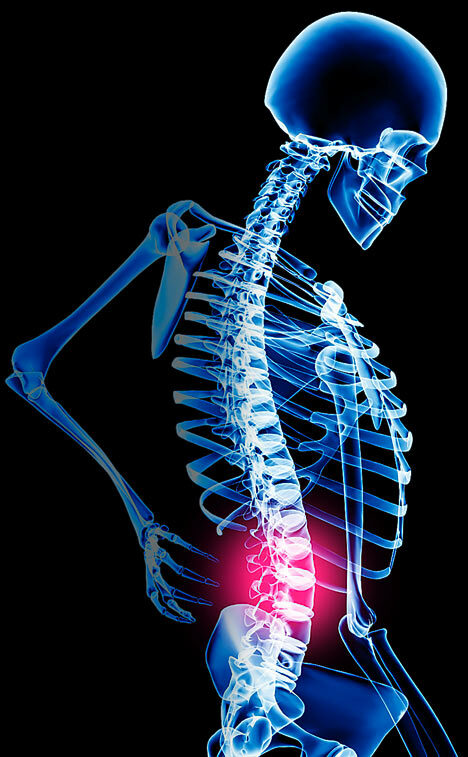 No surprise, movement is discussed as a great way to help actually rewire the nervous system which can get a bit screwed up (described further in this post on chronic back pain). But the main thing this book offers is a model of the pain process: how pain is perceived by the nervous system, translated by the brain as pain or not, and how we can work with that knowledge to turn down the volume on pain. Again, this book is looking at our neurology in terms of how we are plastic people: we adapt constantly. By getting a handle on that plasticity, we can begin to work with that more directly for our well-being. Another one in this space - that shows great examples of this plasticity in action is the Brain the Changes Itself. This book got me totally jazzed about how we are always adapting. In particular it inspired me to look into the work going on at Posit Science that's helped kids and now the elderly to reclaim their brains. That's only one example of the work that's described that's been looking at everything from stroke rehab to dyslexia to autism to supposed senility. Aside: Elder Brain Care And that reminds me, this is not a book, but if you do have elders whom you care about, and where they or you or both of you sense that mental acuity, hearing, related, seems to be deteriorating, please consider looking into Posit Science's products yourself. There's a great online evaluation that's just listening to tones/patterns that you can sit down and do with your elder or ask them to do on their own to give them a baseline of what their perceptual age seems to be. The brain tools that are part of the programs are like games that the participant plays that rebuild perceptual and conceptual accuity. It is amazing it's so effective. The design is not like the brain games stuff that we see on hand helds. This stuff has been evaluated a LOT to check real results. The packages are a couple hundred bucks, but when we think about the costs of assisted living/care, and just quality of life, they pay for themselves over and over. Sometimes for some people, food is as painful to contemplate as an ongoing ache. If there's one thing you can do for these folks is give them an e-book that de-stresses the cooking, food-making process. RD Georgie Fear's DIG IN really does this in spades. The recipes are simple, delictious, tasty, and totally lean-eating friendly so no worries on over-dosing calories for the food geek. The book is overviewed here, with indicative recipes also provided, and a list of any utensils actually needed, and an interview with the author linked in. What's not to like. Oh and the book is cheap, too, AND you can have it now via instant download, or you can have it sent to someone really easily for that on time delivery - either download or physical copy. The pics are fab. Perhaps you yourself are a fitness geek, and someone you love is actually having a hard time with getting their eating to a place where they're getting the body comp results they want. Maybe because you're already pretty fit, you're not sure how to help them. No kidding. 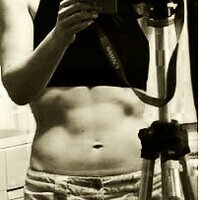 Diet change work can be frought. Now i'm a long time fan of Precision Nutrition, and there's a free e-book way you can offer your special person a way to check it out, just click here. A related approach that it diet-free by Martha Beck, simply focuses on working through stages of change. As Beck argues, a lot of dieting goes crazy not cuz people lack discipline but because we don't have great strategies (a) to plan for what usually is CHANGE to the way we do something like the conditions under which we eat and (b) we don't therefore know how to plan for success. 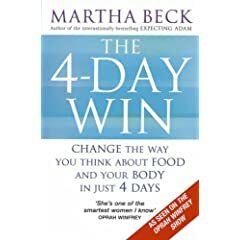 Beck's 4 Day Win: the Way to Thinner Piece is a fab and engaging workthrough and work book for eating change that if practiced (and she makes the practice be whatever is absolutely doable for the person reading the book - so it's YOU driven and based) that it's guarenteed to help get that person to a Happy Place - whatever diet you choose. It's so not about the food, but about what we do, and this book helps support those processes of doing change. And just for fun? 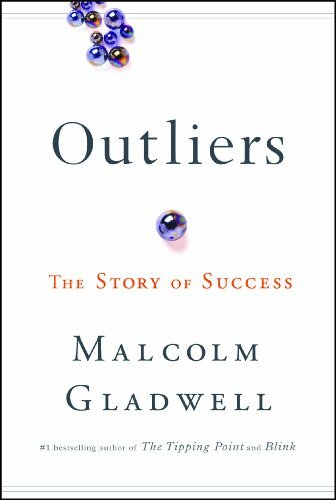 I've written about it before in the context of the Perfect Rep Quest, but Michael Gladwell's book Outliers brings together a whole whack of work well known within sociology but not so well known beyond that takes on the story of the Loan Great Individual. Gladwell does a pretty convincing job to demonstrate that no genius on the scene has emerged without - besides being smart/talented - having put in their 10 thousand hours of work in their field. That's a powerful fact. Even in music - the great and talented there - there is evidence of the ten thousand hours. Gladwell unpacks how to get to these ten thousand hours before others sometimes means pretty special access to the resources and opportunities to enable this 10k of time, or by some standards, literally being born early enough in a season to have the right development in place by the time a selection is made for say a sports team. Some have argued against these points saying pishaw there are too geniuses - not everyone who plugs in 10k hours at something is brilliant. This may be true, but the corollorary is not. Indeed, the point remains that even with native talent, without putting in the time with attention and will but the time nonetheless, a person just doesn't get to carnegie hall. Why is this a fitness geek book selection? Am i just showing a bias for a canadian author? As i wrote about last year, the role of the rep towards the perfect rep is no small thing. The PR lift may be as much about form as it is about strength, eh? If strength is a skill then a lot of practice with attention will be a good thing. Real Fitness Books for Fitness Geeks. 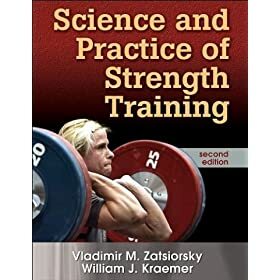 If you're interested in more traditional lifting and muscle and related books (and other necessities) for your fitness geek, i proposed a whole bunch in last year's fitness geek giving guide. They can all be found in this post. I hope you enjoy, and can use these tips to shop faster and spend more real time with the fitness geeks you love. Excellent list, I've read four out of six. Now I know the next two! great. best of the season, Roland. on the basis of this I bought The Body has a Mind of Its Own and read it over Christmas. Absolutely fascinating and really well written. Thanks for the recommendation! fabulous Chris, glad you enjoyed it.